Alouette is first and foremost a club run by the members, for the members. We have no employees, but instead have a dedicated committee, elected by the members, who are responsible for the general running of the club. This reduces our overheads and allows us to keep the cost of flying down, an all-important consideration in these days of rising prices. Our flying rates are still among the cheapest in the South East of England! 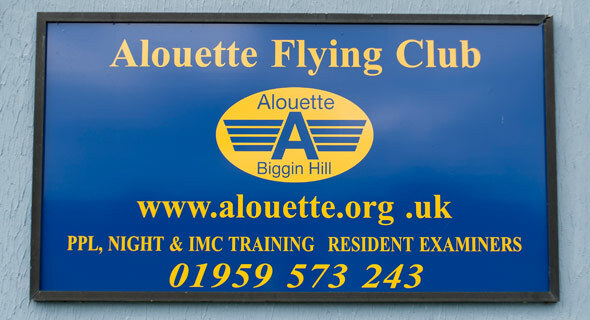 You can join Alouette as a social member, a student or as a qualified pilot but whatever level you choose, you can be sure of a very warm welcome. Our members range in age from early teens to - well let's just say 'mature'. Some have been flying for many years, others are newly qualified. But they all have one thing in common - they love flying. We have an active social side to the club and have a licensed bar in the club house. 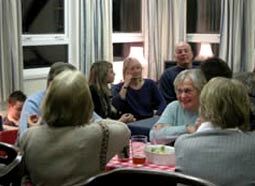 In the summer we usually organise a barbeque and on the first Wednesday of every month we have a social evening. The bar is open for both of these occasions. During the cold winter months we often host guest speakers on a Wednesday evening, such as Justyn Gorman, many of whom gained their PPL at Alouette. Sunday is a good time to pop in if you want a chat as many of our members can be found in and around the club on that day so you can ask questions and find out more about what we have to offer. We also arrange fly-away's to other airfields and both flying and non-flying members are welcome to come along to these. We accept PayPal for payment of trial flights and member's flying accounts to make life even easier but you can still pay by cash or cheque on the day if you so wish. Alouette brings together people from all walks of life who not only love flying but who also want to fly cheaply and, above all, safely. We have a range of highly qualified and experienced instructors and can provide training on most days of the week, and at weekends. We love to welcome like-minded folk who wish to participate in the running of the club, as well as enjoy their flying. Alouette is a corporate member of AOPA, the Aircraft Owners and Pilots Association, so you can be assured of high quality flight training and value for money. We hope you will join us - why not try a trial lesson?